Manuel was only 12 years old when Sister Luke Boiarski met him in Las Flores, Belize. Every day he would come to help with a home build. To show him her thanks after working so hard, Sister Luke gave him a watermelon to share with his family. She drove him home that day and watched as he ran up the long pathway to his home. He motioned for her to follow him and come inside to meet his mother and siblings. 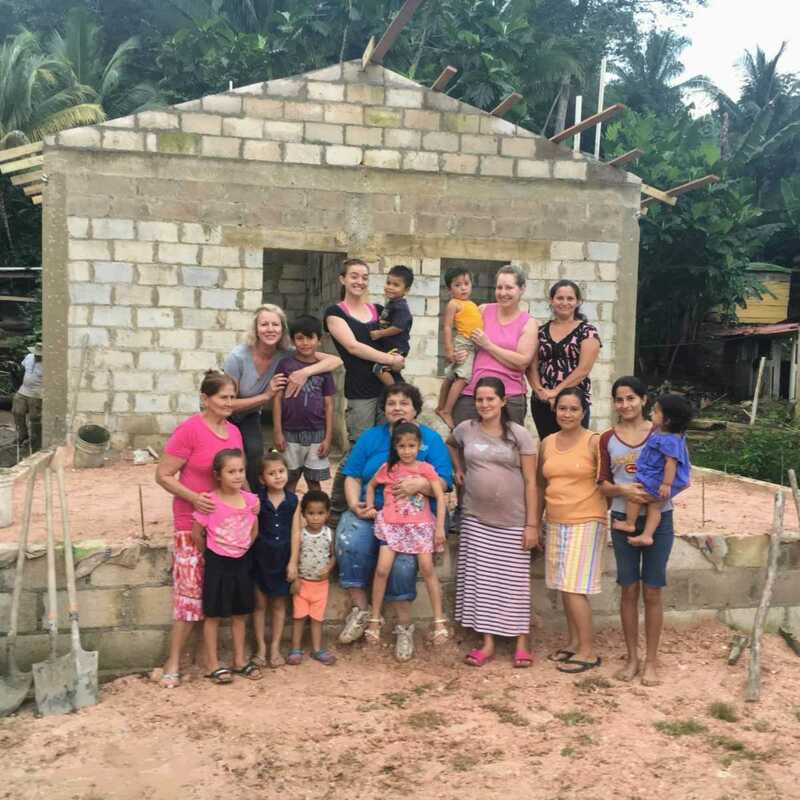 When Sister Luke saw the poor condition of Manuel’s home she knew right away that she would someday return to build a home for him. Manuel is now in his twenties. He has helped with many volunteer home builds in his community. Now he has a home of his own. The one that Sister Luke promised to him when he was a child. Lay women and men continue in the cross-cultural partnership with the economically poor and marginalized established by the Sisters of Charity of Nazareth volunteer program. 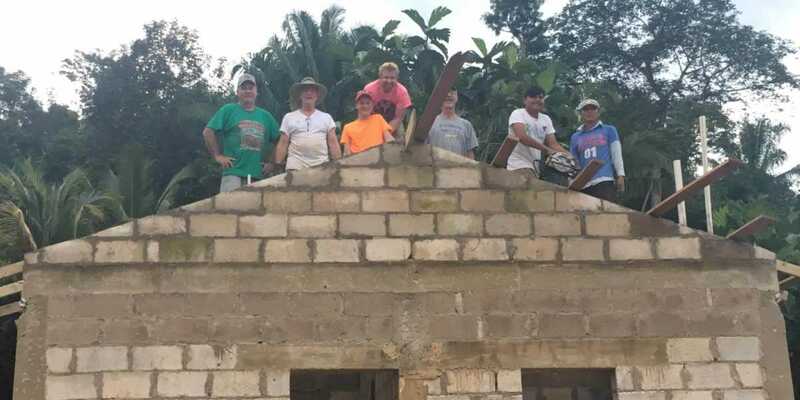 This group recently returned from Las Flores where they completed the work on the home for Manuel and his family. In putting their faith and love into action, they have helped others and furthered the mission of Christ. God bless you Sister Luke and your many volunteers.I was right when I told you your work has only just begun. It hurts to be unable to volunteer with you for what I could do to help, but it remains a satisfaction and grace that I am still alive and getting the stories and can support by prayer. God bless you and all who volunteer with you and all for whom you build and repair a home. LUKE, WHAT A BEAUTIFUL WAY OF SHOWING YOUR LOVE AND CONCERN! IT IS SO NEAT TO HEAR OF THE BOY MANUEL AND NOW THE ADULT MANUEL. THANK YOU FOR ALL YOU ARE AND ALL YOU DO FOR OTHERS. Solidarity with the poor brings us new life! What a gift! Thank you Luke for having a big heart! The work Sr Luke and her volunteers offer is such a blessing to so many. God bless everyone connected with this ministry. I am so proud to call Sr Luke my sister. She truly lives the Gospel!! !